Our Mission Statement: The City of Jefferson Police Department strives to provide all residents, businesses and visitors with professional, competent, ethical and compassionate law enforcement services. 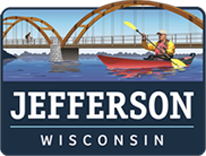 We pledge to work in partnership with all members of the community to make Jefferson a better place to live, work, and visit. Our Vision: A City of Jefferson where all citizens can live safely and without fear, protected by a police department with the highest ethical and professional standards striving for continuous improvement. The City of Jefferson Police Department provides 24 hours a day, 7 days a week police coverage. We also have mutual aid agreements with surrounding police agencies and the Jefferson County Sheriff’s Department for additional assistance when necessary. We provide police dispatching Monday through Friday from 7:00 a.m. to 11:00 p.m. and on Saturdays from 7:00 a.m. to 3:00 p.m. We also providing 24/7 dispatching services during special event weekends. The Jefferson Police Department is a progressive agency committed to community-oriented policing. This philosophy of policing includes problem solving as well as providing quality personalized service during every contact. It is our desire to create a partnership with all of our community members to build trust between our citizenry and the police department staff. We strive to be advocates on every interaction fully realizing that call is very important to that citizen.